Q I dreamt of a few small wu lous like the one I’m wearing. Finally, a larger one. What does this mean? A Dreams are often a manifestation of your own subconscious mind. The Wu Lou is the sacred gourd or “Giver of Life” and often used to ward off illness and disease, and as an effective feng shui antidote to the illness star. Dreaming of wu lous could mean your mind is on your health, and if your dream started off with a few small wu lous, which then culminated into a larger one, it means you are hopeful that your health will improve. Indeed, if you are suffering chronic ill health, often the most effective way to get better is if in your mind and heart you want to get better and believe you will get better. The dream is thus a good dream. Q How can I help my second boy improve his sentimental life and attract the right people into his life? And also improve his academic career? A How old is your son? If he is still pursuing his academic life, if by sentimental life you mean his love life, perhaps this is not the right time for him to improve his sentimental life? But if you mean how do you ensure he attracts friends that are GOOD for him, as opposed to being a bad influence, the best way is to energize to boost his personal development. He will attract friends and companions into his life that boost his self-confidence and ambitions for a successful academic life if that is what he himself wants. Best way to start? Let him sleep with his head pointed towards his Fu Wei (personal development) direction and let him sit at his study desk facing his Fu Wei direction. Click here to find out his KUA number and Fu Wei direction. 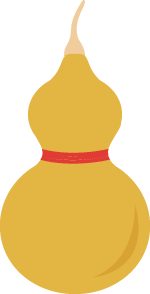 Display the Wisdom Pagoda with the Treasure Chest Dharani in the West corner of your home or of his study room, and for his desk, get the Golden Chi Lin with 4 scholastic objects. Talk to him about regularly about his school work but also about his friends and social life. Be the host parent for some of your son’s social occasions and get to know his friends. 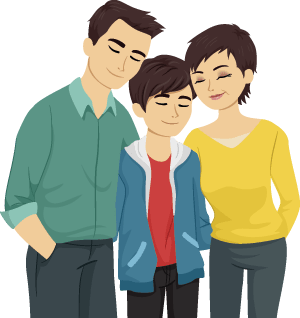 The more interested you are in your son’s life, the more interest he himself will take in making the right decisions and the more likely he will be to hang out with the right crowd. Make sure you continue to be as big an influence in his life as his friends. Q To get fame, do we sit in the South or face South to achieve that? Secondly, if following Kua number, do you do the same? A For fame, energize the universal corner for fame, which is the SOUTH. You don’t need to sit in the South, nor do you have to face South. But you should ensure the South part of your house, and the South corner of your bedroom, work room and office room are not afflicted. Energize the South with a pair of crimson phoenixes or with the Windhorse. 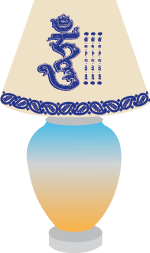 Keep this corner well-lit and energized with a bright lamp – best is the Hum and Tam Lamp with seed syllables of Goddess Tara and Guru Rinpoche. These will attract wonderful success energies into your home for you. HOW TO DISPOSE OF USED CURES? Q I have been following WOFS feng shui cures for about 10 years now. Needless to say I have built up quite a collection. Even after disposing of protective items and keeping only enhancers, it has come to a point where there are just too many items. Can we dispose of these items, especially stupas and idols of deities? And if so how? A Cures that have done their job should be retired, but enhancers too, when they have become worn with time, tarnished or rusty, should be similarly retired. There is nothing wrong in disposing of feng shui items that have done their job – it is similar to throwing out old clothes that are torn, tattered or that simply do not fit anymore. 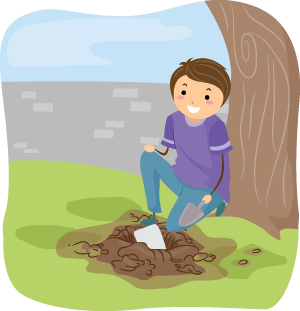 Sacred or holy objects however should not be carelessly discarded, and if really they are old (say chipped, broken etc), you can respectfully bury them in the ground or wrap them with paper before disposing them. Q I was born January 17th 1954; from reading, I am supposed to go back one year to 1953 because of the date of 17. However, I have so many of the characteristics of the Horse more so than the Snake, so I’m not sure which to follow. A Those born on the cusp of two animal signs often share the general characteristics of both signs. But your date of birth of Jan 17th 1954 is more than half a month before the Lunar New Year crossover date of that year, so in terms of astrological luck predictions, you are likely to follow the charts of the Snake. However, both the Snake and the Horse are Fire animals, and their luck patterns very much mirror each other’s through the passage of time. Q I placed the tri-coloured pagoda and Wealth King Gesar in front of my main entrance above a shoe cabinet. Happened to read that auspicious items cannot be placed above a shoe cabinet. Is it true? 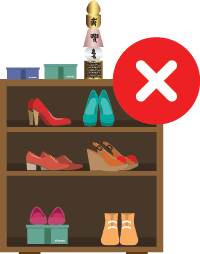 A Do NOT place auspicious symbols and items on top of a shoe cabinet, and especially, do NOT place deities on shoe cabinets. If your entrance is such that it is a little corner where you take off your shoes before entering the main house, then display your pagoda and King Gesar somewhere else. In your living room is best. In the main part of the home, not the little conduit where you enter. Q Both my hubby and I are born in the year of the Horse. We just bought a new car and wonder what we should hang in the car for safety and wealth? 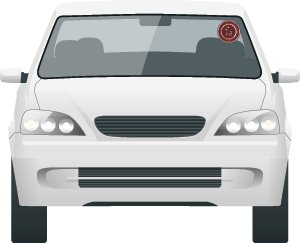 A Best is to stick protective stickers that we have specially designed for use in cars. Click here for our selection of stickers. For wealth, the best is King Gesar’s sticker. Q What are your thoughts about schools which are near a cemetery or a church or both? This is very common in Ireland. Would children have to wear/carry protection or avoid the school? A It is not ideal if the cemetery is in plain sight from the school. Churches are fine as long as they do not directly face the school. In fact, churches are places of worship and their proximity to schools is not a bad thing. No need to avoid the school. However, we always recommend everyone, and especially children, to wear or carry some kind of protection, as one can encounter negative influences and energies at any time. Just carrying or wearing a sacred syllable can literally “save your life”. Q I’m renovating my boy’s room in 2019. He is born in 2001. He is not doing well in his studies. What is a suitable colour for the room, and where should I place his study table and bed? Thank you. A Your boy is a Snake-born, so in 2019, the Year of the Boar, he is directly confronting the Grand Duke Jupiter. More important than anything for him would be to ensure he does not offend the Tai Sui. He should carry the Tai Sui Amulet, and make sure you have the Tai Sui Plaque in the NW of his room, and also of your home. His Kua number is 8, so this is good news as 8 is the number that rules the year. This will mitigate the Tai Sui affliction somewhat. A good colour for his bedroom is a neutral tone like white, or a light cream colour. His bed should be positioned such that his head points to the SW or NE. Similarly, his desk should be placed such that he sits facing SW or NE. His element luck this coming year is weak, so I also recommend that he carries the Life Force Amulet. Q How can I make my house more welcoming / inviting for family and friends? A The best way is to organize your interior décor such that you have a suitable room in which to entertain. Make sure this room – it can be a living area, or a dining area – has enough chairs / sofas and table space or side tables for drinks, snacks etc. When you lay out your home with visitors and guests in mind, the energies will be more inviting for them to come visit, and hang out. Another good way is to shake up the energy of your home. Move furniture around. Change the layout of your rooms regularly, even if the changes are small. This will make a difference as it will bring your house back to life. Q Two months ago, my husband of 20 years left me. Although he does not communicate much, (he just says he can’t “do this anymore”), I believe he ran away from our severe business and financial problems. He is also refusing to work or have anything to do with the family business. I really love and miss him and want him to come home. Please help. A Get yourself the Marriage Saver Amulet and wear it. 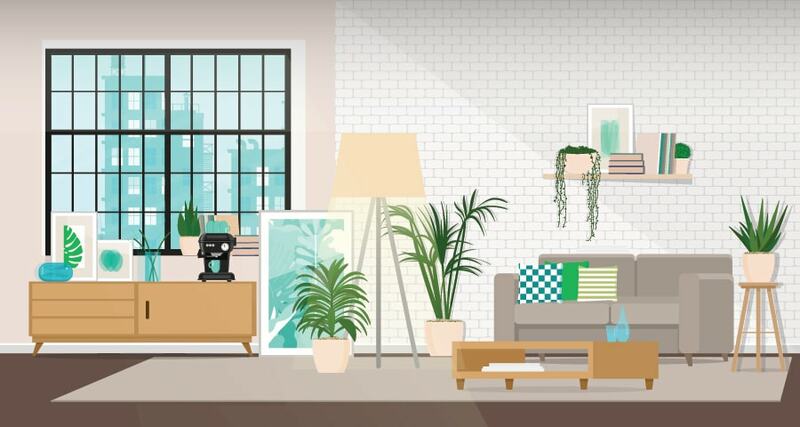 Check the feng shui of your home. Is the Northwest part of the home afflicted or missing? A common reason for the man of the house to walk out is when the sector of the Patriarch is missing or afflicted. If he has been married to you for 20 years and then leaves, most of the time if you check, the feng shui will have something to do with it. Difficult to advise you without actually checking your house – we recommend you check the feng shui, or get a feng shui consultation. For your financial problems, focus on this by energizing for wealth and mitigating any losses. Energize the center of your home with Bamboo Forest of Prosperity. For better business luck, display the Three Warriors in your home or office. And place the Anti Burglary Mountain in the Southeast. 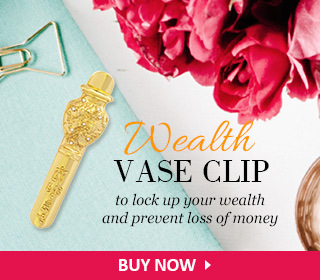 This protects against robbery, but also against money loss in business.